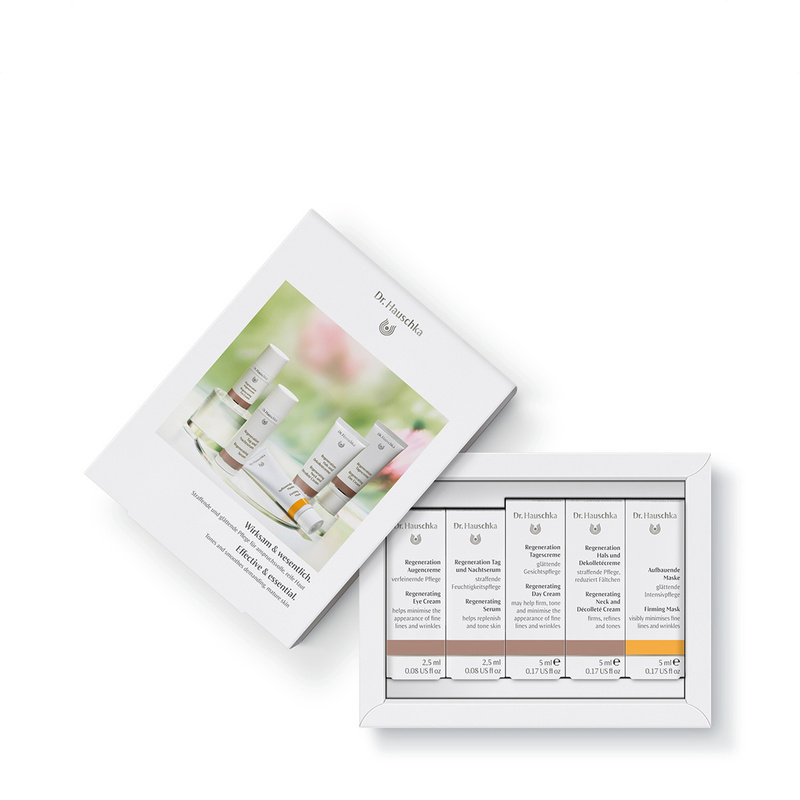 Effective & Essential Trial Kit Set contains the complete line of Regenerating Products that encourages the skin’s renewal processes for a firmer, smoother, radiant appearance for mature skin. Regenerating Eye Cream 2.5 ml: softens the appearance of fine lines and wrinkles and lets the eyes shine brightly. Regenerating Serum 2.5 ml: regulates the skin’s moisture balance for a revitalised, toned feel. Regenerating Day Cream 5 ml: smoothes and stabilises the skin, encouraging its natural renewal processes. Regenerating Neck and Décolleté Cream 5 ml: leaves the skin feeling wonderfully toned and revitalised. Firming Mask 5 ml: supports the skin’s natural ability to store moisture – for skin that feels fortified and smooth.